Legal tussle: The Ambani brothers have sparred publicly over gas from the Krishna-Godavari basin since they split the family business. New Delhi: Mukesh Ambani, Asia’s richest man, started his case against estranged brother Anil Ambani in the Supreme Court over gas supplies from a field holding $38 billion (Rs1.75 trillion) of reserves after rebuffing attempts for a settlement. Mukesh Ambani, 52, is seeking to overturn a 15 June court ruling compelling the Mumbai-based company to sell natural gas to Anil Ambani’s group at a price 44% below government rates. Anil Ambani, 50, sought on 11 October to resolve the four-year dispute in a “constructive, cordial and conciliatory" manner. The feud has curbed supplies from the nation’s biggest gas field, starved power stations and fertilizer firms of fuel, and deterred energy companies from exploring for oil and gas. Losing the case could shave as much as $600 million off RIL’s earnings, according to Moody’s Investors Service. A three-judge bench of Chief Justice K.G. Balakrishnan and justices R.V. Raveendran and justice P. Sathasivam is hearing arguments on the dispute. The billionaire Ambani brothers have sparred publicly over gas from the D6 field in the Krishna-Godavari basin since they split the family business four years ago. 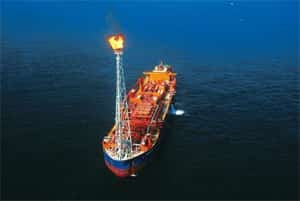 The government has said the fuel is national property and the state alone has the power to fix gas prices and assign customers, prompting Anil Ambani to accuse the petroleum ministry of siding with Mukesh Ambani. RIL’s shares have risen 0.3% since the Bombay high court’s 15 June verdict, compared with a 16% gain in the benchmark Sensex index in the same period. RIL fell 1.8% to Rs2,184.55 in Mumbai trading on Tuesday, while the index declined 0.6%.Reliance Natural Resources Ltd, the company that procures fuel for Anil Ambani group companies, gained 1.2% to Rs87.90. The stock has declined 19% since 15 June. The panel will hear arguments every Tuesday, Wednesday and Thursday. The court will decide if the government and power and fertilizer producers can become party to the dispute.